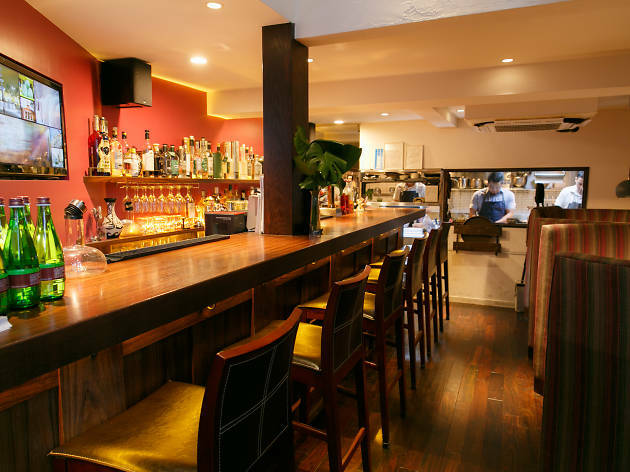 Bépocah has set out to make a bold statement about Peruvian cuisine – that much is evident before you even step inside this Harajuku restaurant. Since opening in 2013, its bright canary yellow façade has become a local landmark in its own right. The dark wood interior with bar seating and two cosy booths downstairs is perfect for solo diners or couples, while the mezzanine level offers tables for larger groups. 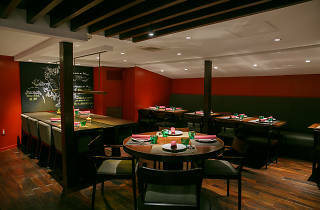 Chef and co-owner Bruno Nakandakari is creating very traditional Peruvian cuisine but presenting it with contemporary flair. 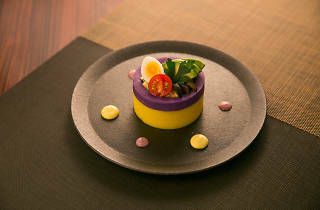 This is evident in his causas, unique layered potato dishes found only in Peru. 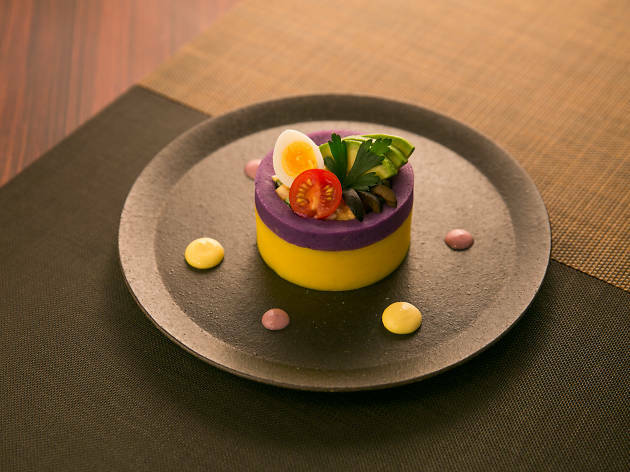 The Causa Rellena is particularly stunning: a stack of Hokkaido yellow and vibrant purple potato encasing a creamy chicken salad filling. And it’s not only visually pleasing, packing a delicate blend of acidity from lime and warmth from ají amarillo (yellow chilli pepper). 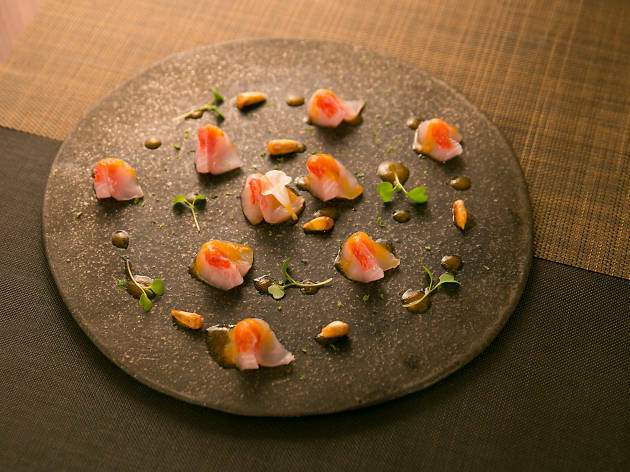 Another highlight is Nakandakari’s take on ceviche, the popular Latin American dish made from fresh fish cured lightly in citrus. 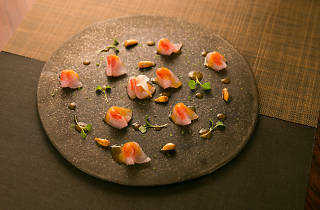 Serving his version thinly sliced, almost like sashimi, he only adds squeezed lime upon serving. Perhaps it’s an adaptation to satisfy the local clientele, but one that sure doesn’t lead to compromises on flavour. Aji limo pepper, the wasabi of Latin American cuisine, is added to give the raw fish some heat. 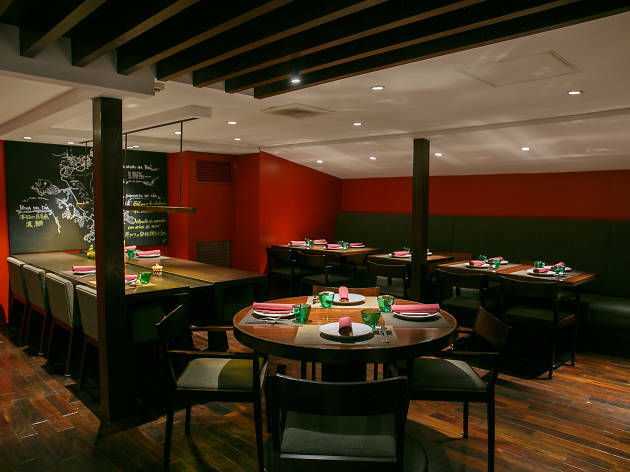 If you’re unfamiliar with the depth of Peruvian cuisine, opting for the degustation menu (eight courses for ¥5,400) will provide the perfect introduction. 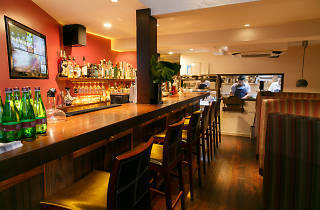 Don’t forget to also order a cocktail or two – Bépocah’s famous pisco sour will have you dancing in the street in no time.